So… we’ve finally arrived in beautiful Costa Rica! As promised, I’ll be writing about our time here, so here’s the first instalment, all about how and why we chose to come to this incredible country. I travelled a lot before having Joe 12 years ago, but since he was born, we’ve been pretty unadventurous on the travel front. Not intentionally – the thought of travelling with the kids has always excited me, but it’s just been one of those things we kind of always thought we’d do “next year”, then when ‘next year’ came around we’d not have the time or the money to do anything too spectacular. Also, once Joe started school 8 years ago, that meant that we couldn’t travel during term time and would need to take advantage of the longer summer holidays to travel further afield, but working as a wedding photographer meant that I’d always get summers booked up 2+ years ahead, taking that option off the table. Plus, we have a great tent and a campervan, and are constantly back and forth to Anglesey and Wales most weekends, so have happily spent the last few years enjoying weekends away and summers in Wales, going to festivals and camping in the UK and Europe, not really feeling too much like anything was ‘missing’. The catalyst or turning point was when the time came to look at secondary schools for Joe. Over the years, whenever Joe has seen or read anything about exotic, faraway places and asked me about them, I’ve often said, “Oh I’ll take you there one day,” genuinely believing that ‘next year’ or in one of the years of his childhood that seemed to stretch so far ahead of us, I’d do exactly that and take him to see these amazing places. It always felt like we had so much time left to do it, and I never felt any pressure or crazy rush. Plus, in the more recent years, we had Huey (now nearly 3, but who, at the time of first planning this trip, was only a baby), so a couple of potential years of travel had been gobbled up in the ‘baby bubble’ of pregnancy and early babyhood. 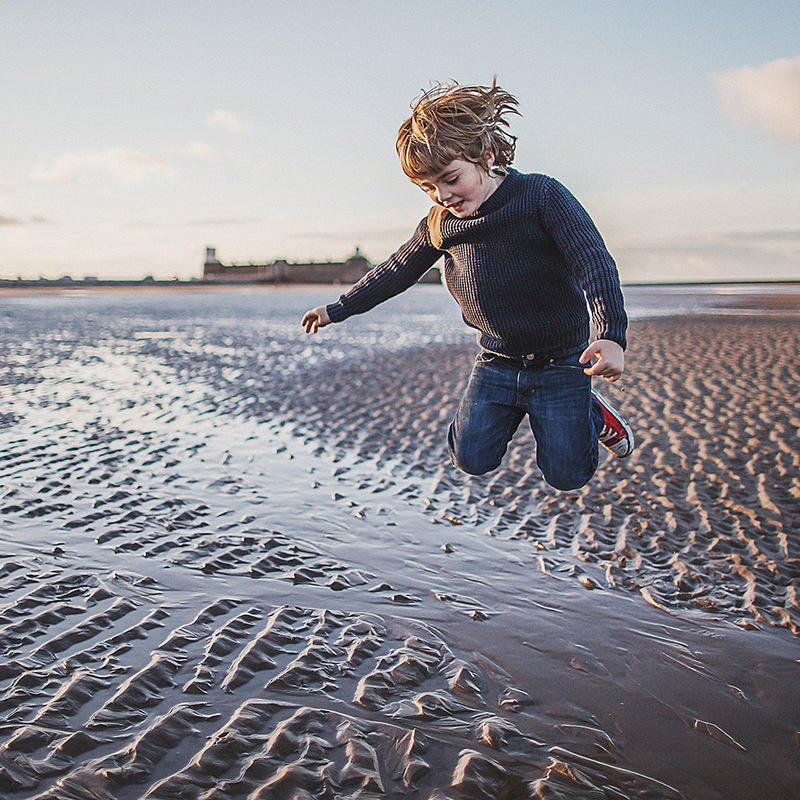 Then as I sat there in front of the computer, poring over Ofsted reports for local secondary schools, it suddenly hit me – over half of Joe’s childhood had gone already and I’d taken him pretty much nowhere. I want to say at this point that I’m well aware that exotic travel is not a necessity for a happy and healthy child, and that I didn’t feel that Joe had suffered in any way from not doing this – to the contrary, he’s spent countless blissful summers camping, swimming, going to festivals, crabbing, surfing, exploring, fishing, bodyboarding, sailing, cycling, skateboarding, climbing and huddling round eating his dinner from a campfire – he’s a lucky, lucky boy and I wouldn’t have swapped those times for the world. But it was just a sobering thought to realise that so much more time had already passed than I’d realised, and that if I wanted to have any kind of exotic adventure with him, I needed to pull my finger out and start arranging it. When I then started to actually sit down with pen and paper and work out the sums for how much a trip like this would cost, it became clear why my nebulous plans for ‘next year’ had never worked out, as it would actually take us 2-3 years to save for it. This may sound totally obvious to those of you who have adult money-brains, but I’m a complete moron when it comes to things like this and I’ve always tended to dream first, do the maths later. Most of my dreams don’t entail spending too much money, so I’ve never really fallen foul of this approach before, but in this case, there was just no way we were ever going to ‘find’ the money to do something like this within our usual practice of only ever planning holidays within the same year as actually doing them. Once I realised this, the plan became clear – obvious to most, but a new thing for me – decide where we’re going, decide when we’re going, even if it’s 2+ years away, block the time out in my diary, don’t take any wedding photography bookings within those dates, and start saving. The ‘when’ suggested itself – we wanted to go for a full month, so that we could travel around for as long as possible, so due to school summer holidays, we decided we’d go for all of August. I already had wedding bookings during the next two summers, 2015 & 2016, so they weren’t an option (and too soon to save for anyway), so we fixed on the summer after that, August 2017, and I blocked it out in the diary – it felt very weird turning work down so far in advance, especially for something that didn’t feel particularly real. The ‘where’ we worked out pretty quickly. We wanted it to be somewhere that neither Adam nor I had been before, somewhere markedly different to the UK so the kids would notice a big difference, somewhere that both a 2 year old and a 12 year old would enjoy, plus it had to be somewhere that worked reasonably well weather-wise during August (the flip side of our summer holidays is that it’s low season in many other continents), plus as far as Adam was concerned, it had to be somewhere with good surf (of course 🙄 ). I’d already travelled a lot in Asia, so that ruled that out, but neither Adam nor I had been to Central America. Adam had always been desperate to visit Costa Rica to surf since watching The Endless Summer II as a kid, and as soon as he suggested it and I started to read up on it, my heart was instantly set. 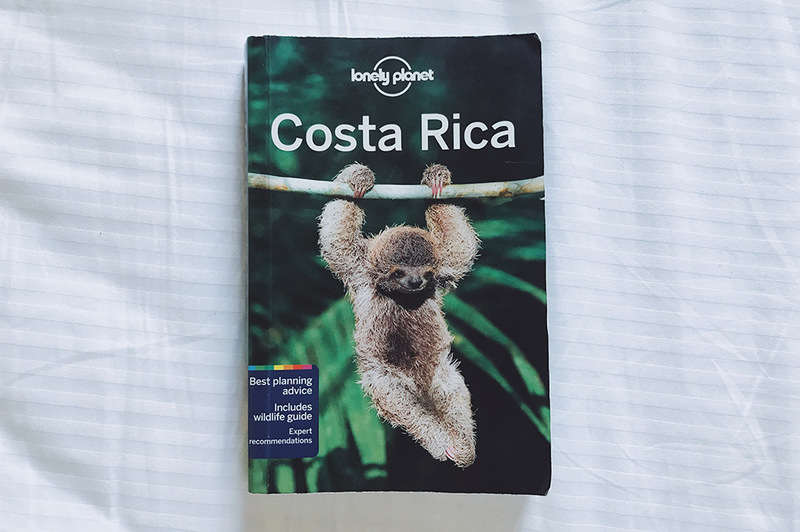 So, Costa Rica it was… A tropical paradise of rainforests, mountains, waterfalls, volcanoes, rivers, deserted beaches, crazy wildlife, cloud forests, pounding surf breaks and amazing, warm people…. a total wonderland for the kids and just as incredible for us. It’s got the perfect balance between being really unspoilt but also being well developed in terms of infrastructure, facilities, healthcare, sanitation etc… so if you’re travelling with young kids you know you’ll be comfortable and safe at the same time as flying right out of your usual sphere of experience. 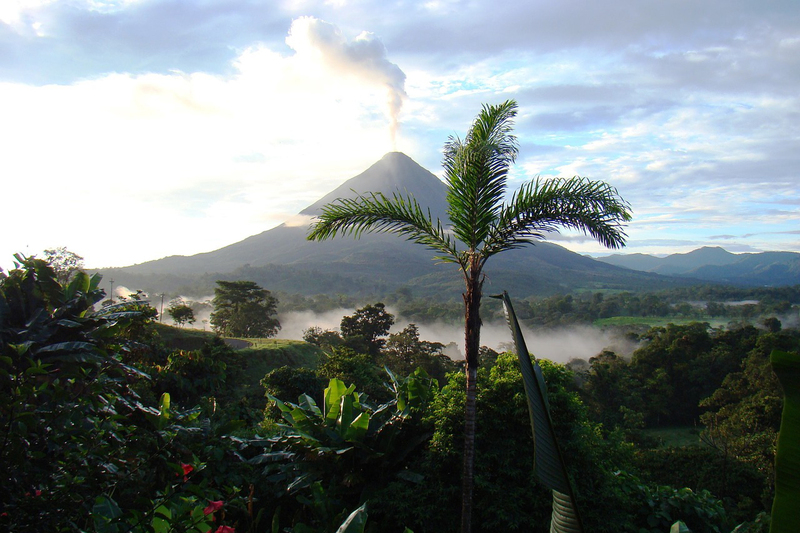 It’s the adventure tourism capital of Central America, so we knew we’d have lots of opportunity to do all the outdoor adventure activities our family loves to do, and we love that it’s such a peaceful, considerate country – it has pioneering, world-leading sustainability initiatives and no standing army. In addition to that, more than a third of the country is environmentally protected, and there is greater biodiversity in this one small country than in the whole of the USA and Europe combined. Oh, and they have sloths (my all-time favourite animal) all over the place. So, all in all… pretty bloody ace. It would be rainy season in August, but everything I read and heard said it’s still a lovely time to visit and everything would be more lush. Set on the destination, I grabbed a Lonely Planet and my laptop and started planning a month-long family adventure… itinerary coming up in the next instalment! 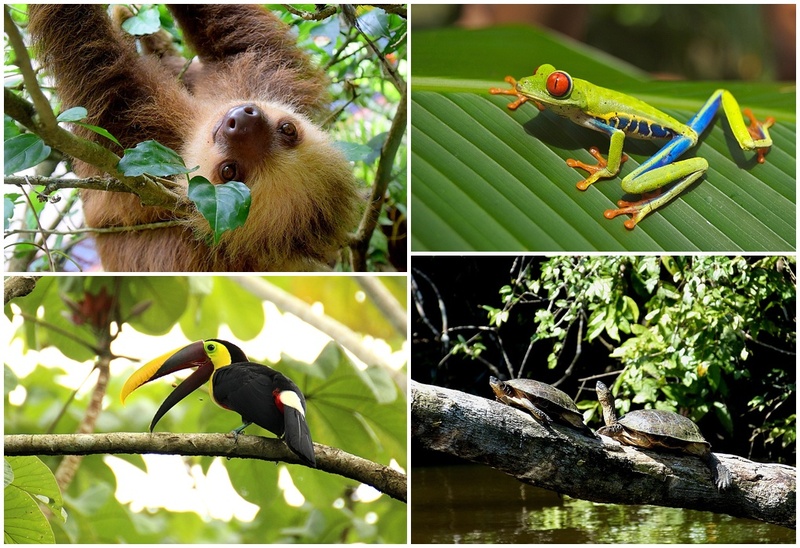 Have any of you been to Costa Rica? With or without kids? How did you find it? My favourite place in the world! Having had my second daughter there, she has a CR passport, so I always hope she will end up there later in life, at least for a little while. I left a HUGE piece of my heart there. Have you been to any of the hot springs yet? Tabacon worth splashing out on – I still think about it. Hope you got my hints and tips via Caroline (though they may be a little out of date now that I’ve been gone four years!). Enjoy it – I just know you will. Pura vida mae!